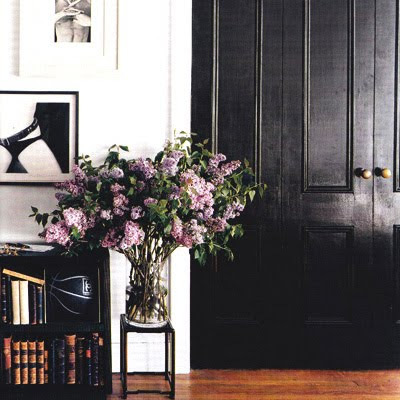 I wish I could paint the doors in my house black. 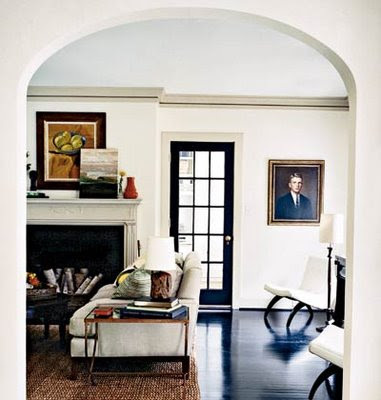 A new coat of black glossy paint can make any door look better. We totally painted my mom's doors black a few weeks ago. Cheap hallow-core became ultra glam in just a few coats!! I can't wait own my own house again so I can do it, too! 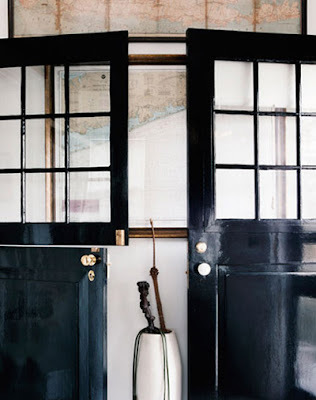 And, I agree, I think that good glossy black paint can do a number on a cheap "stock" door... and, it suddenly makes the hardware ON the door so much prettier. Glad that we are all in agreement here. Yes! Good call on the 'glossy'!